Home Bible Studies About Church What Is The Best Bible Commentary For Pastors? What Is The Best Bible Commentary For Pastors? Many times you may want to bless your pastor with a special gift. Maybe they are just starting out in ministry, or perhaps they need some references for putting their sermons together. Whatever the case, deciding which is the best Bible commentary for pastors can be a daunting task for someone who is not familiar with the ins and outs of being a pastor. Years ago, When I interviewed my pastor, who is a man of the Word, I asked him what he considered to be the best Bible commentary. Without hesitation, he recommended Matthew Henry’s Commentary of the Bible. I couldn’t agree more. Any pastor will be blessed and enriched by studying it alongside the Word of God. It is tried and true. I knew Matthew Henry’s Commentary of the Bible had been around a long time, but I discovered that he was born near Wales on October 18, 1662, and he passed away in Cheshire due to a stroke, on June 22, 1714. 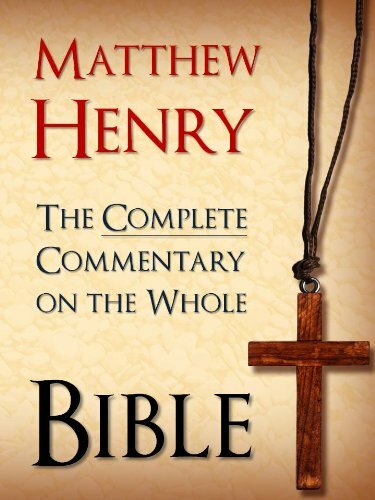 Henry’s reputation lies upon his renowned commentary, An Exposition of the Old and New Testaments (1708-10, also known as Matthew Henry’s Commentary on the Whole Bible). He lived to finish it only as far as to the end of the Acts, but after his passing, other like-minded scholars prepared the remainder from Henry’s manuscripts. 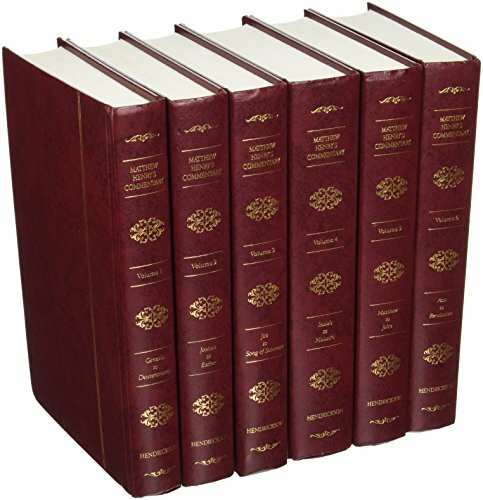 This book was long celebrated as the best English commentary for devotional purposes, and the expanded edition was initially published in 1896. 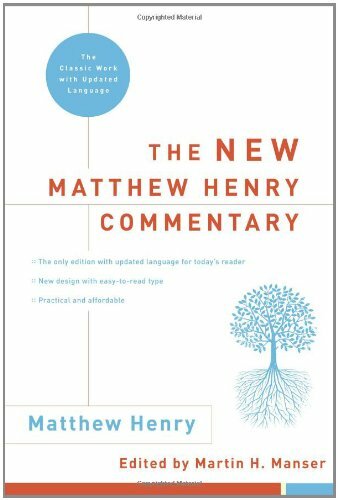 Instead of critical exposition, Henry focuses on the practical suggestion, and his commentaries contain rich stores of truths. 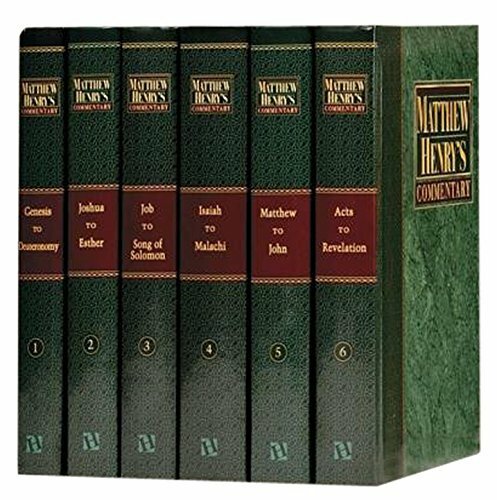 There is also a shorter devotional commentary on the Bible known as Matthew Henry’s Concise Commentary. 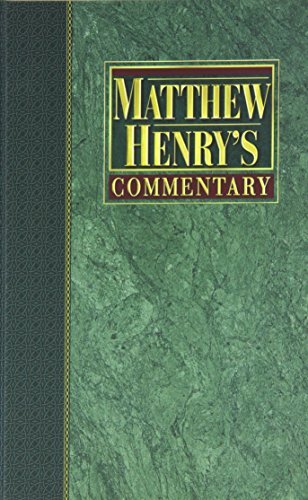 What Are Some Important Considerations When Buying Matthew Henry’s Commentary Of The Bible? There are many choices offered on Amazon: hardcover, paperback, Kindle, CD, audible. There are also concise, complete, abridged, unabridged, 6 volume Spanish, etc. Any pastor has a choice that will fit his/her needs. Here are a few. 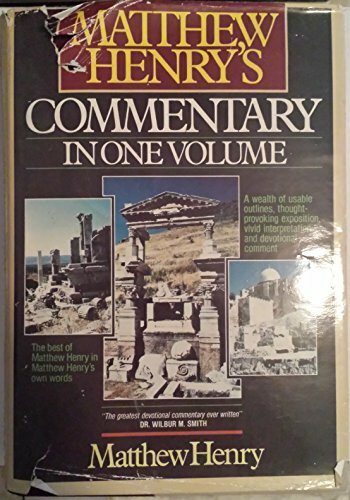 • Spurgeon used Henry’s commentary and recommended it heartily, saying: “Every minister ought to read it entirely and carefully through once at least.”• It is the most loved Bible commentary of all time. For nearly 300 years, Christians have discussed its rich insights into the very heart of God’s Word. Passage by passage, its prayerful, astute reflections encourage and challenge the reader. • The straightforward way Matthew Henry’s Commentary brings Scripture to bear on the everyday circumstances of life and of Christian character together with its deeply worshipful, devotional style make it a preference.• The careful abridgment presents in one volume the abundance of exposition and comment, similes, analogies, and examples that have set Matthew Henry’s Commentary aside as one of the abiding legacies of faith.• It is ideal for private devotions – Bible study – sermon and lesson formation — forever fresh and never neglecting to render new pearls of wisdom, Matthew Henry’s Commentary is a book you will reach for regularly to obtain a more comprehensive understanding of the Scriptures. It covers every detail with clarity. The more concise volume is good for reference but, the larger volume you can read all the way through nearly as a Bible itself with Matthew, as though walking through the most magnificent timeline of history. All the scriptures are in bold and before every book is a summary. Matthew Henry was born near Wales on Oct. 18, 1662. He was primarily home-educated by his father, Rev. Philip Henry, and at the Thomas Doolittle academy from 1680-1682. Henry first began studying law in 1686, but instead of seeking a profession in law he began to preach in his community. After the proclamation of liberty of conscience by James II in 1687, he was privately ordained as a minister in London, and on June 2, 1687, he began his daily ministry as non-conformist pastor of a Presbyterian church at Chester. He remained in this location for 25 years. After rejecting several times offers from London congregations, he finally accepted a call to Hackney, London, and began his preaching there May 18, 1712, shortly before his passing. Henry passed away in Cheshire due to a stroke, on June 22, 1714. It has far more practical applications than many of today’s modern commentaries. It does not get mired in theological discussions. It deepens the understanding of God’s Holy Word. It is the most helpful and practical commentary. It brings it all together with great applications. The language is somewhat antiquated. It is not “verse by verse.” The chapters can be multiple verses together. There are no color maps just black and white. I will let the reviews answer this! Pastors everywhere prefer Matthew Henry’s Commentary of the Bible! You will love it too! What Is The Best Bible For A 9 Year Old? What Is The Best Bible For A Teenage Girl? What Is The Best Bible For A 7-Year-Old? Previous articleWhat Is The Best Bible For A 7-Year-Old? Are Denominations Good Or Bad? Are You Called To Be A Pastor’s Wife?